Cars are so reliable these days, it's easy to forget that things can still go wrong. Of these potential issues, overheating is a big one. A lot of factors can cause a car to overheat, including low coolant, long drives (especially in warm weather) and congested traffic. No matter what the cause, however, a situation can quickly become out of control if you don't know what to do when your vehicle's temperature rises. The first step is to know if your engine is overheating. You can determine this in a variety of ways, but the best way to tell is to consult the temperature gauge. Once the engine is warm, a car's temperature gauge should read just below the midpoint line between cold and hot. If you notice the needle rising towards hot, it's probably not an emergency but definitely time to take action. Next turn off the A/C and turn on the heat. It might seem counterintuitive, but turning on the heat blows hot air away from the engine, allowing it to cool. If the temperature starts to fall, drive to your destination and let your car cool down. If it's not cooling down, or steam is coming from under the hood, find a safe place to pull over as soon as possible. Next, check the coolant level in the radiator. Make sure to wait until the car has completely cooled before attempting to open the hood. Once cooled, slowly twist off the radiator cap, being careful to avoid any hot steam. If needed, add coolant. Inspect both the radiator hose and any heater hoses for leaks, blocks, or disconnections. Restart the engine while carefully monitoring the temperature gauge. If it doesn't go down, call a tow truck. 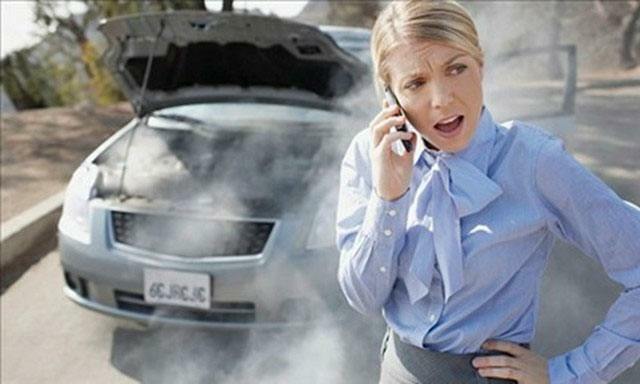 Overheating can put your personal safety at risk and cause extensive damage to your car. Your safest bet is to always to be prepared, so make sure your car is equipped with coolant, a tool kit, a working flashlight and water. Want more information or have questions? Give us a call or visit our website. We're happy to help! As one of the most important safety features on your vehicle, brakes should be regularly maintained and any issues should be addressed immediately. The majority of vehicles today use disc brakes—a brake system that works like hand brakes on a bike. As you apply pressure to the brake pedal, the brake pads squeeze a spinning disc rotor that's attached to the wheel. The resulting friction, when applied to each of the wheels, slows the car. If you experience any of these issues, you should bring your vehicle in immediately. Neglecting your brake pads and shoes will ultimately result in brake failure. Not to mention that you risk damaging other, more expensive brake parts. 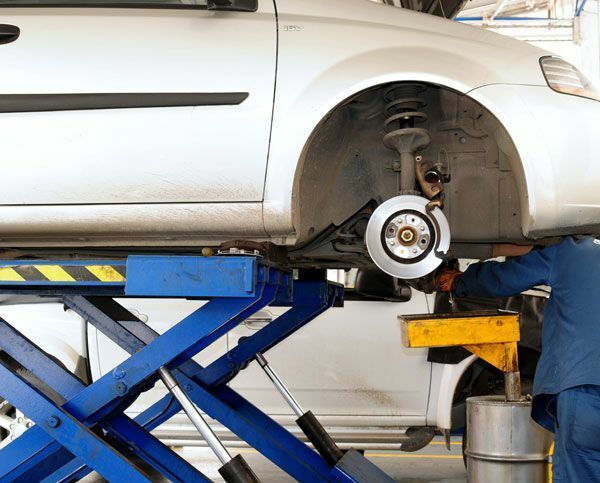 In short, the benefits of regularly maintaining your brakes far outweigh the cost and inconvenience of having it done. If you'd like any more information or if your brakes are in need of service, visit our website or give us a call. We're always here to help!